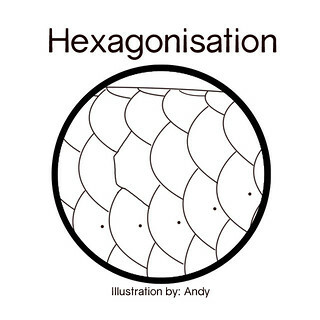 Hexagonisation follows when the scale continues to experience more abrasions over time, filing the scale edge into a "semi-hexagon" shape. The scale structure is weak and cannot regenerate fast enough to recover its original shape. Finally, the scale reaches full erosion, whereby all exposed edges have been noticeably damaged. At this stage, the outer rim colouration should have been eroded and the scale will look unpleasant not just because of its shape, but also the lack of rim colour. The reason why scales suffer from erosion is mainly due to the lack of proper minerals present in the water body. In some instances, even when the right minerals are present, but in the wrong levels, the fish will have difficulty absorbing and utilising it properly. Therefore, the proper blend of right minerals is need to help recuperate the damaged scales. Many arowanas have this problem, take a closer look at all the beautiful photos of aquarium kept arowanas and you shall see what many people have missed. Observe the 3rd row of scales, where the lateral line is. Many arowanas suffer from uneven scale edge along this row of scales. Here are my illustrations of the process of lateral line erosion/degeneration for an arowana. This image shows a healthy lateral line and lateral scales. Each scale along the lateral line has a small little pit in the middle, it provides the arowana with super sensitivity to vibrations around it. Whenever you drop a superworm down, the arowana can feel its vibrations, as it touches the water surface, before it actually sees it. This leads the arowana to its prey. 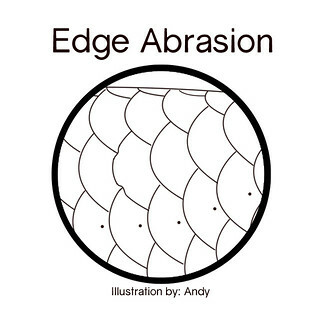 The image above shows the beginning stage of lateral line erosion. The little pits in the lateral scales start to enlarge, looking more like small holes. You will also notice the edges of the scales starting to change in shape, having a slight indentation towards the pit of the scale. This shows signs of stress from the fish. Now you can start to see obvious lines conjoining the lateral line pits. The scale edges also begin to concave even more, towards the pits. Only at this stage, it is a concern to most people because of the obvious change in appearance of the fish. Little do they know how much the fish had been suffering to reach this stage. 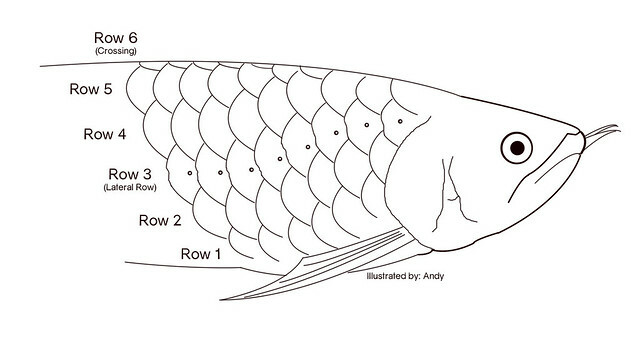 Lateral line erosion is very common among arowanas, mostly golden ones. Even at late stages, the fish may not show any symptoms of stress. It will still have a voracious appetite. In fact, it will want to eat more as it knows that it requires a certain type of nutrient in order to overcome this condition. But many people have overlooked these signs and continue with their routine, not knowing that their fish is suffering from a deficiency. All I can say is that the traditional concept of "if the fish is eating, it is healthy" no longer applies to all cases.